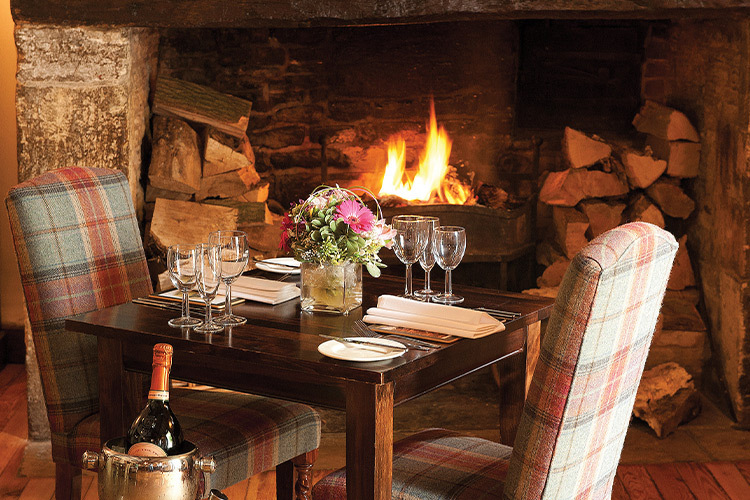 The Old Swan's dining rooms and bars are a myriad of beamed, cosy quarters with roaring log fires and rugged flag-stone floors. There are a choice of dining rooms depending on your numbers, occasion and preference or enjoy the outdoor terrace and picturesque gardens throughout the summer months. Dogs are permitted, with their owners, into the bar area only of the Old Swan where a snack menu is on offer.